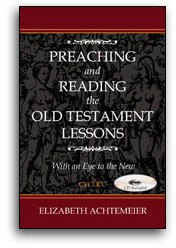 If we read the Old Testament in tandem with the New Testament, we sometimes have to employ a double focus. Verse 1 of our passage promises that God will send a messenger ahead to prepare the way of his coming. And that is certainly true when we look toward Christmas. God gives all sorts of preparatory signs before Jesus Christ is born in Bethlehem. An angel choir announces to shepherds that the one born is the Savior of the world. A rising and leading star alerts Mesopotamian astrologists to the fact that a special king has been born.